يقع في Cradle Mountain, Cradle Mountain Hotel إنه المكان الأنسب لاكتشاف كرادل ماونتاين و ما يحيطها. يمكن من هنا للضيوف الاستمتاع بسهولة الوصول إلى كل ما تقدمه هذه المدينة النابضة بالحياة. إن سهولة الوصول من الفندق إلى المعالم السياحية الشهيرة الكثيرة في المدينة كمثل جبل ايميت, بحيرة دوف, منطقة محمية نهر دوف هو استثنائي بحد ذاته. إن الخدمات الممتازة وحسن الضيافة العالي في Cradle Mountain Hotel تجعل إقامتك تجربة لا تنسى. يقدم هذا الفندق العديد من الخدمات الكفيلة بإرضاء أكثر الضيوف تطلباً. تتضمن كل غرف النزلاء وسائل الراحة والتسلية المصممة خصيصاً لضمان الراحة القصوى للضيوف. كما أن مجموعة الخدمات الواسعة الموجودة في الفندق لضمان راحتك تترك لك الكثير من الخيارات لقضاء وقتك أثناء فترة إقامتك. إن Cradle Mountain Hotel هو خيارك لخدمة الفنادق الراقية في كرادل ماونتاين. 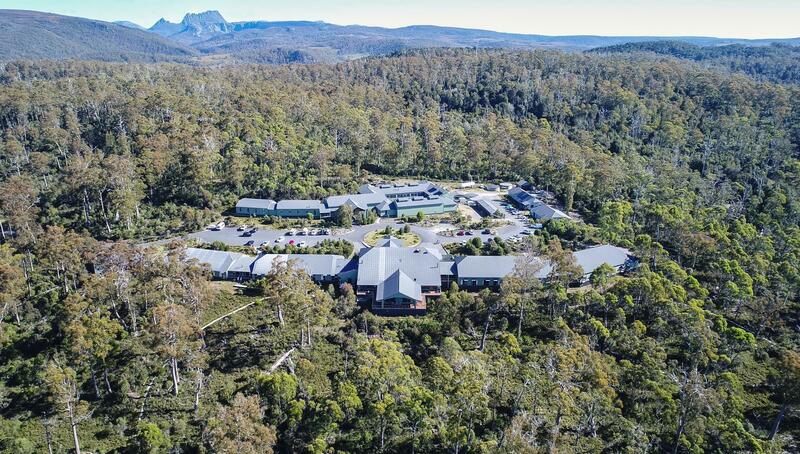 Cradle Mountain Hotel is a beautiful place to immerse yourself and enjoy the splendor of Cradle Mountain National Park. 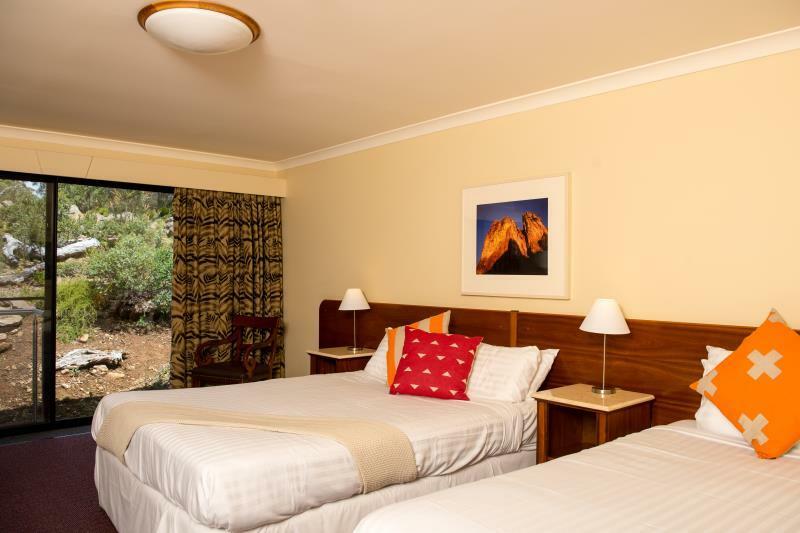 It is magnificently set into its surroundings with each of the deluxe rooms having direct access to the untouched beauty of the Australian bush. The beds are on of the most comfortable I have experienced and the split level room with a sitting room below is perfect for a few nights to enjoy the magic of the mountain. The staff clearly enjoy their work and can’t do enough to help your stay be perfect in every way. Highly recommended! The room was big , clean and comfortable. The back opened up to a view of the boardwalk which was nice and had wildlife such as wombat and wallabies roaming. As it was freezing cold during our stay, we appreciated the heater in the toilet but our room's heater were not heating the room well. Very convenient location to access cradle mountain national park but there were not much food choices around and the restaurant's food were not the best for the price we paid. Clean, comfortable but heater too small for the size of our room. Dinner buffet in the restaurant was average but breakfast was much better. Looked at self contained cottages nearby which is cheaper and seems better equipped, more like home. We arrived at around 7pm, & found that we were the last to check in for the day. Despite so, the reception staff was still friendly & helpful. We got an upgrade to the King room & it was really nice with a split level living area big enough to add a roll-away bed for the 3rd person. Heating was fine thought it gets a little colder at the living area. Our room faces the forest & we had birds visiting our balcony area in the morning. The hot spa was great after a cold day out in the mountain. The hotel was affordable with a decent restaurant. I had no issues with the wifi though my father had trouble logging in. Anyone staying there should also visit the Wilderness Gallery that exhibits works from local artists. Location was good for those driving - Just a few minutes drive to cradle mountain visitor center. Not far from Cradle Mountain NP and less crowded than Cradle Mountain Lodge. Altitude is a good restaurant for good food that is also less expensive comparatively and less crowded. A little negative is that the WiFi is limited to two devices and signal is rather weak. It is in a great location. Clean and comfortable with generous size rooms . Loved the common areas with the fires burning . We found our stay here wonderful . Great dooms , good size and very comfortable beds . We had lunch and breakfast in one of the restaurants/ bistro which as good . We are not big eaters in morning so often find even the continental breakfast expensive but was happy this was an option and not just a full breakfast on offer . We had dinner at the larger restaurant ( sorry can't remember the name ) gear staff , very attentive , good service . The food we ordered was beautiful , decent potions . A satisfactory wine list with local wines . Would recommend the visit . Overnight stay with including buffet breakfast though not worth the $200 price tag. The bed was soft and comfortable and room cosy and warm. The breakfast was good to fill up on though bacon and eggs not cooked fresh had become dry and rubbery. The WiFi didn't work and poor signal in our room. At the bar, we waited over ten minutes to be served. The meal at greygums restaurant was on the small side and pricey for what it was. We had to make a booking even though tables were empty though after our order was taken, our meals came very quickly and service was very good. I actually really liked staying here the little fire lounges where nice and offered comfortable places to just enjoy winter their art exhibition was great! We even where visited by wallabies daily so very submerged into nature. The rooms are small and the beds where not comfortable and the shower had no pressure so you are really paying for and I the buffet dinner wasn’t the best but the buffet breakfast was great except for the coffee....But would go back to stay the experience and location outweighs the creature comforts. Pros - one of the more affordable accommodation in Cradles Mt. Short distance travelling around most activities. Rooms are clean and spacious. Friendly Staff. All dinings must make pre-reservation. The bathroom is small. There is no airconditioning, fan is provided. There is heater in the room - heater is near the balcony area, not strong enough to warm the whole room. One of our best experiences and decisions to stay at Cradle Mountain. The hotel is nice, with a pretty posh yet cosy reception and restaurant. Dinner at the restaurant after exploring Cradle Mountain and Dove Lake in the day was an awesome memory. It felt lovely to be surrounded by nature and being so close to wildlife. Check out the beautiful stars at night since you are staying in the mountains. Staff was helpful and patient in explaining the tours and dinner options. Restaurant staff was also excellent. Everything went smoothly, albeit a little bit expensive but no regrets. For the price, breakfast should be included. Its old hotel but interiors are still kept in new and good conditions. I will definitely come back. Snow right outside our balcony, and the room is big. Overall, very comfortable. I'm from Malaysia. This was my second time staying here. The room is cozy, the staff are friendly and breakfast is nice! If you are lucky enough, you will see wallabies at your balcony! Near Cradle Mountain Visitor Centre. We drove to Dove Lake carpark instead of taking the shuttle bus. Excellent service. 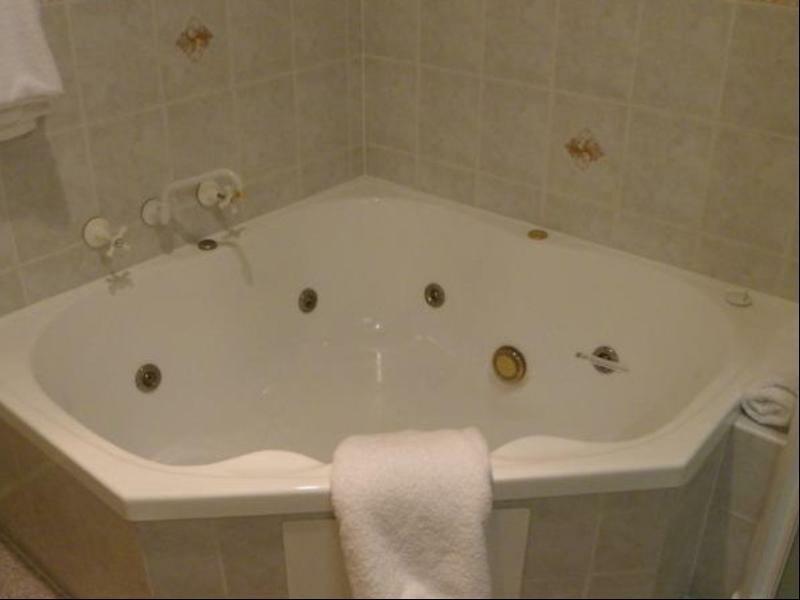 Clean large rooms, strong heated shower. Breakfast can be missed. Spacious loft styled room with jacuzzi & nature view. Can’t asked for more! Nice location, quiet at night, wildlife at your door with friendly and helpful staff. Beds were a little soft but the room was excellent. Internet password system needs some work as could not get a connection but had 4G and in the end, there was too much happening around to bother with the Internet. Great stay. 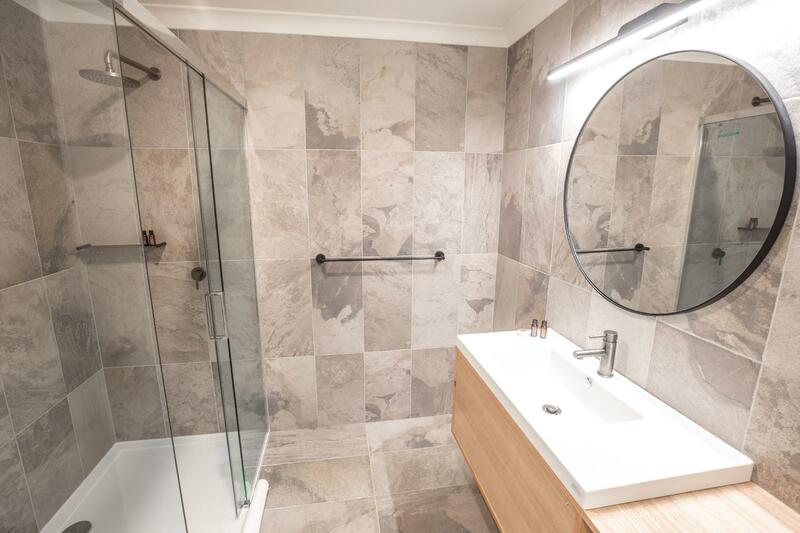 Good location, very convenient to visit Cradle Mountain National park. Facilities in room are not maintained very well and looks like a very old hotel. Foods are just not bad, you can not give it “delicious” comment though.